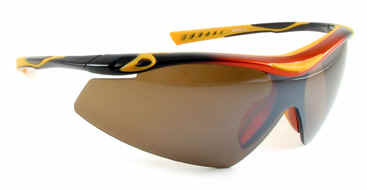 These ZTR-90™ Brand sunglasses have a flexible frame which outperforms most other frame materials. This frame is virtuously indestructible. The lenses are made of shatterproof Poly-Tuff™ Polycarbonate. You will love the clarity of this eyewear. We use special filtration to eliminate the sun rays, so we don't have to darken the lens as much as our competitors to get the same eye comfort.